I knew exactly what I wanted for my wedding flowers. 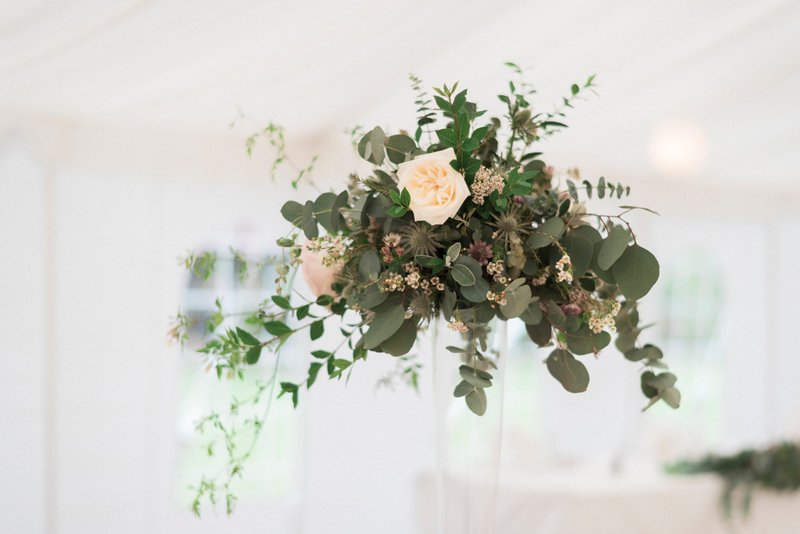 Rustic, earthy, wild and lots of my favourite foliage, eucalyptus. As I didn’t have one specific colour theme for my day I wanted dusky, muted colours which would blend in and work with my Bridesmaids dresses. The difficult part? Finding a florist that *got* my vision. Luckily enough, I worked on a few bridal shoots with the lovely Rebecca Avery and I knew she was the florist for us. 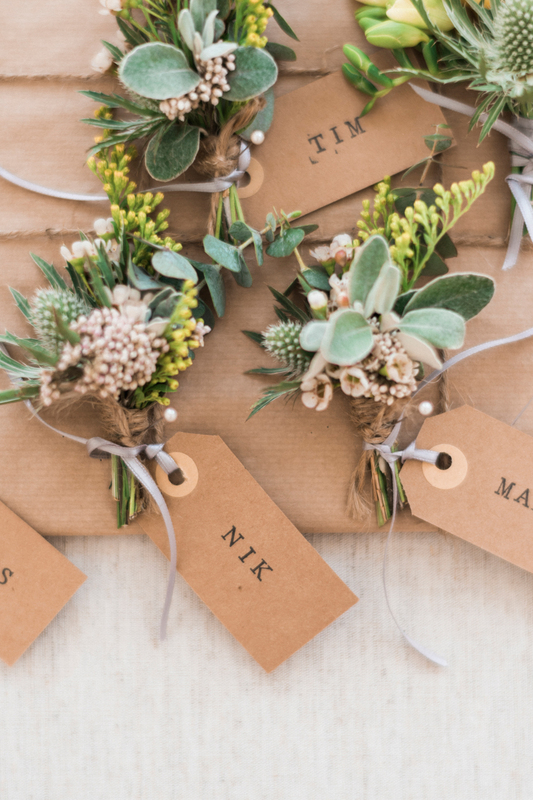 She has a very rustic, wild style of floristry and from the first meeting I knew she understood exactly what I was after. 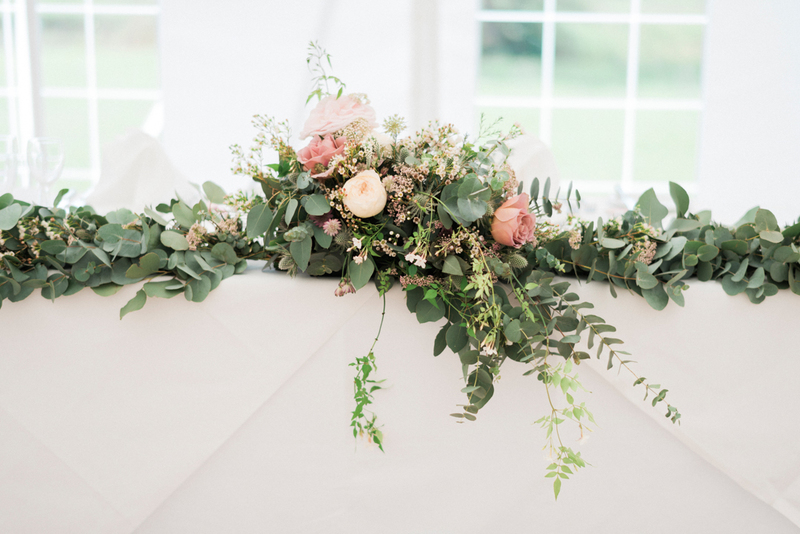 My main bit of advice when it comes to your wedding flowers is to collate photos of things you like, and don’t like. Search through Pinterest, wedding magazines and create an album or scrapbook of everything you love – colours, styles, flowers. 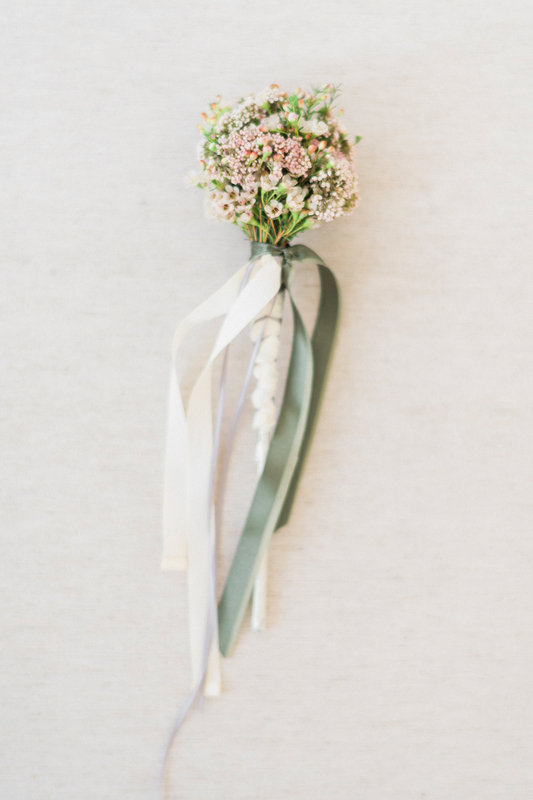 Then, make another for the things you don’t like, especially if there’s a certain type of flower you don’t want, for me this was gypsophila so instead we used wax flower as an alternative! 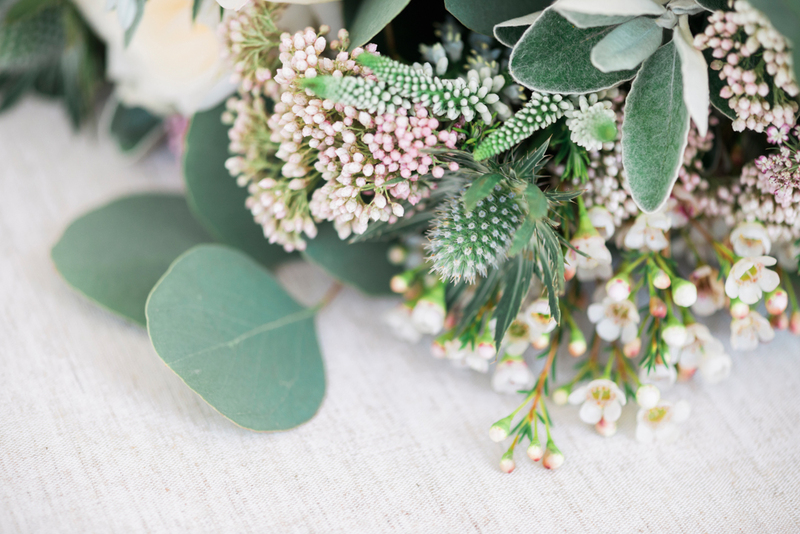 This way you can make sure you and your florist are on the same page and they can design something they know you’ll love – it’s always good to be prepared. 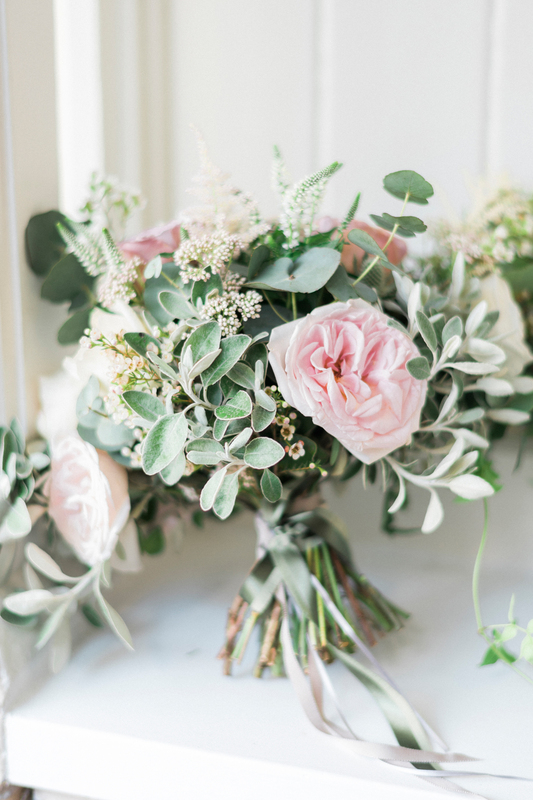 Also, make sure you listen to your florist’s advice – they know which flowers will work with which, as well as knowing the type of flowers in season at the time of your wedding. 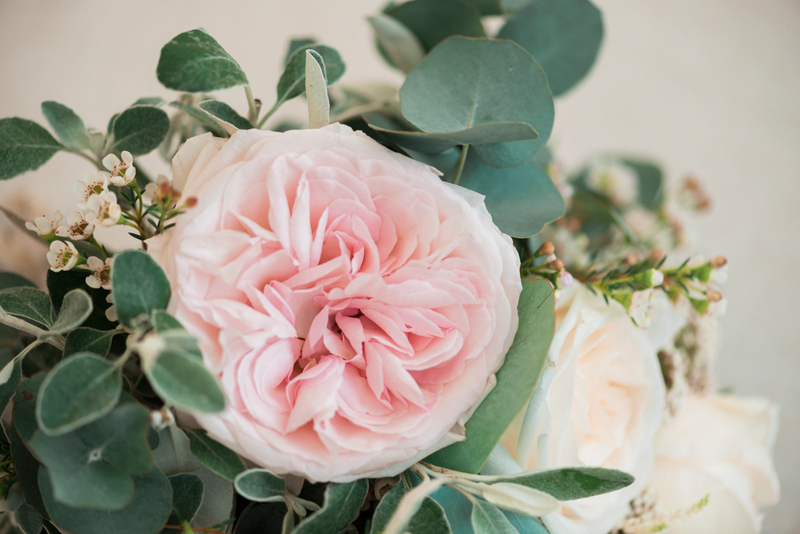 Some flowers are only available during certain months, so if you’re desperate for peonies do your date research beforehand! 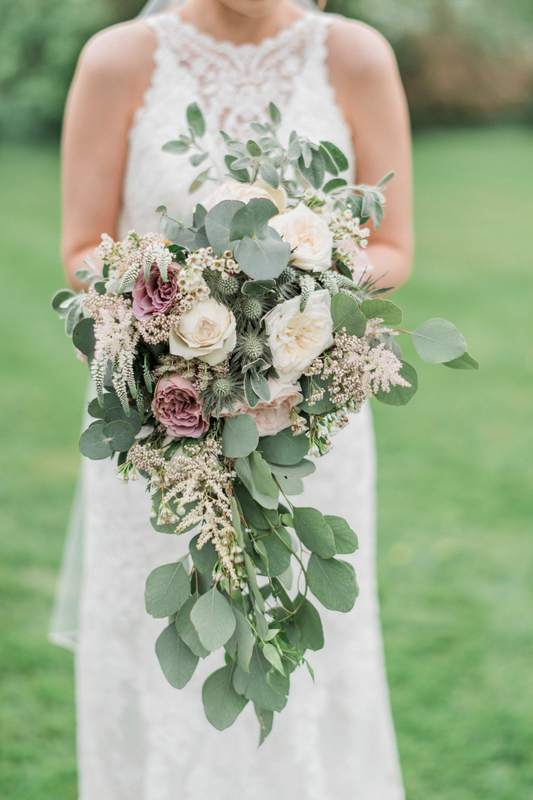 Instantly I knew I wanted my bouquet to be slightly rustic, wild and a show stopper – I wanted it big. 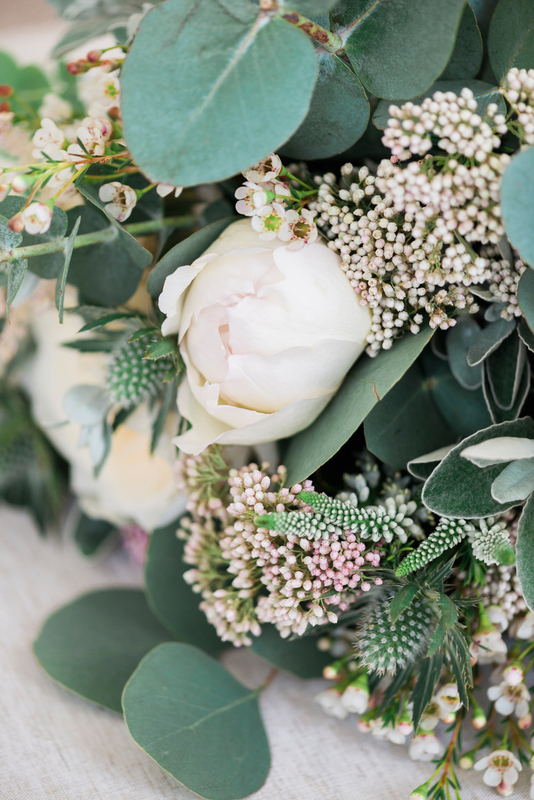 I’m a big fan of foliage, especially eucalyptus which as you can see featured heavily throughout the flowers on the day. I asked Becky for it to trail down slightly and include earthy tones to match the colour theme of the day. I wanted dusky roses and pretty small detailed flowers and the little waxflower details did just that. 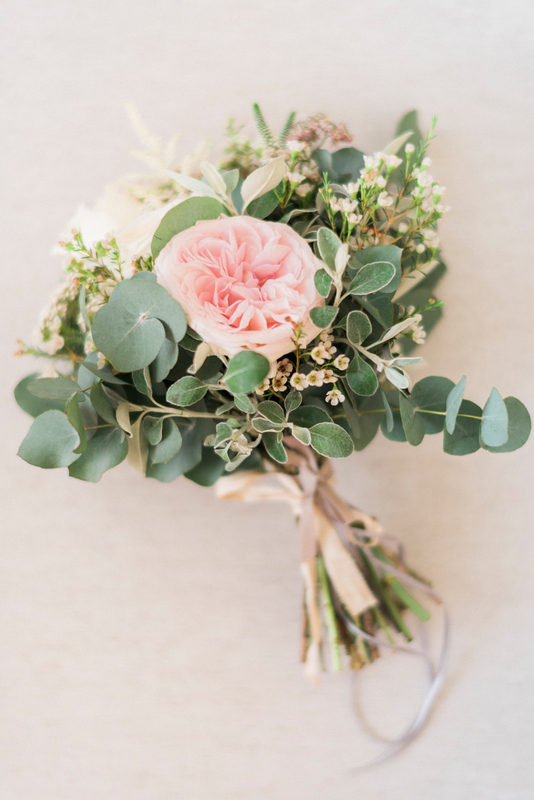 I really wanted big bouquets for the Bridesmaids rather than tiny ones and this was something I loved on the day. They were so pretty and delicate but still a really good size and exactly what I had been lusting after on my Pinterest boards! 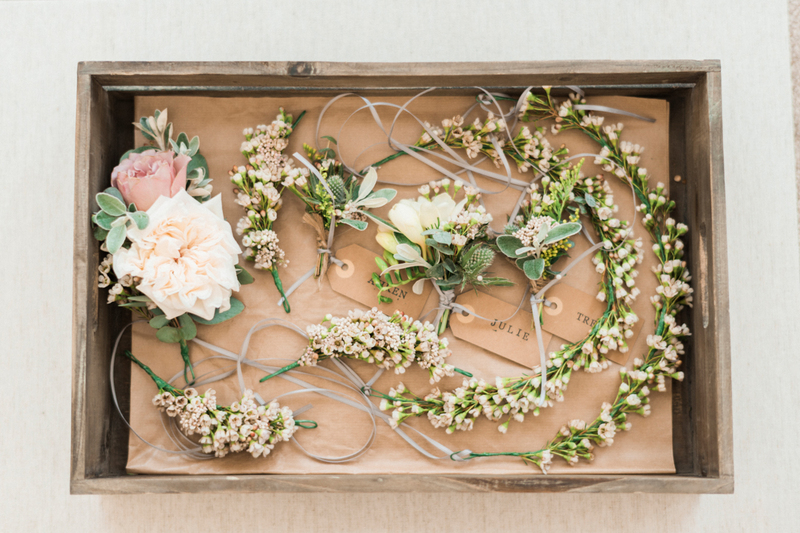 Filled with roses, eucalyptus and wax flower, tied with strands of ribbon. 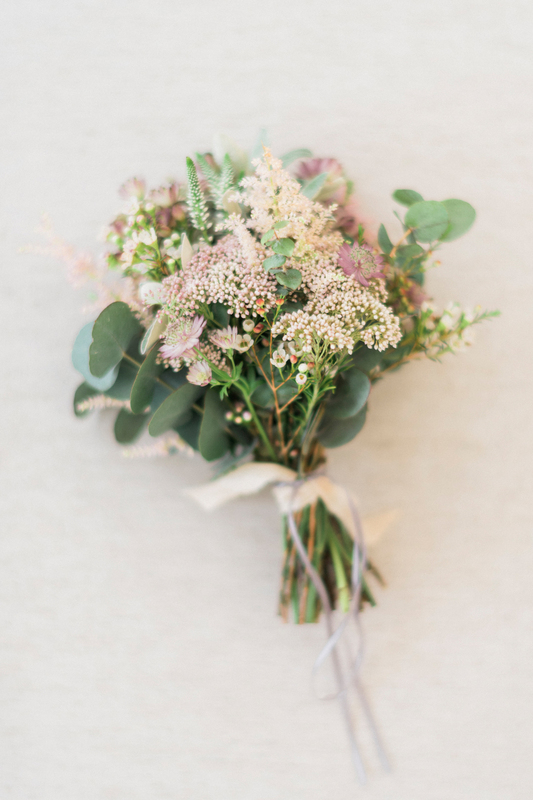 For the Flower Girl bouquets, Poppy (age 5) had a smaller version of the Bridesmaids bouquets and I think this worked so well – it looked so pretty next to her little dress and I know at 5 I would have loved to hold it! Like the others it was finished off with delicate ribbons and full of my favourite, delicate wax flower. Then for Sophia, the littlest Flower Girl at only 1 and a bit, I opted for a wand type bouquet. I think she enjoyed hitting a few things with this! It’s a really nice way to inject flowers and let them have something to hold, but it’s also a bit of fun for them too. It’s was filled with tiny, delicate flowers and I love how it still matched the rest. 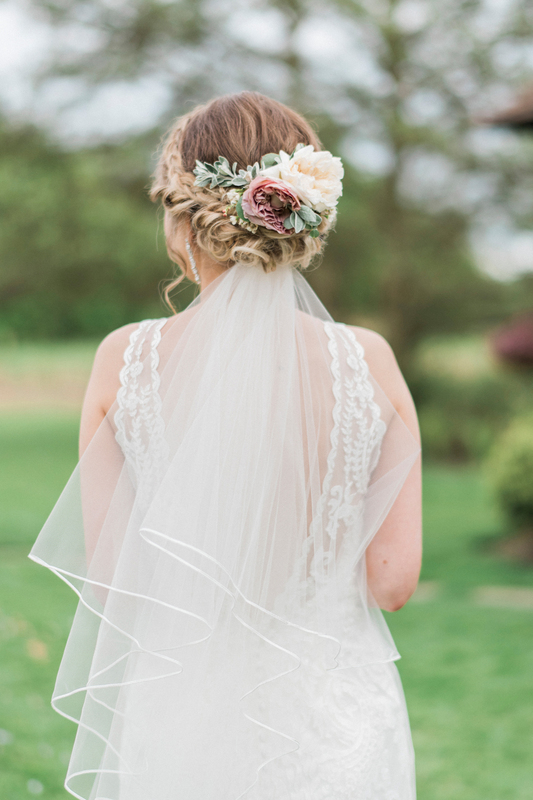 At first I planned to have a floral crown as I love the bohemian feel it gives. 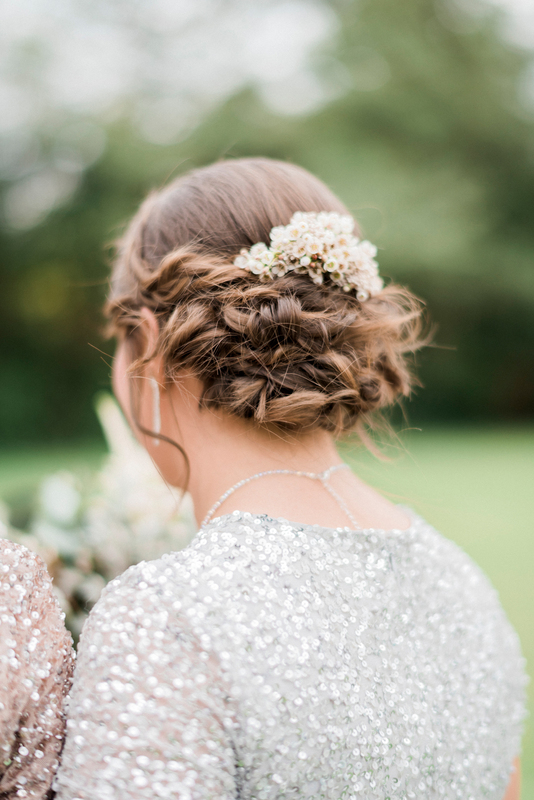 However, I knew with the style of my dress my hair would look better up so instead I opted for a fresh floral clip at the back of my hair, as well as the Bridesmaids. Mine was slightly bigger, including flowers and of course some foliage to match the theme and I absolutely love how it looked. It kept that boho feel I wanted without being too much. 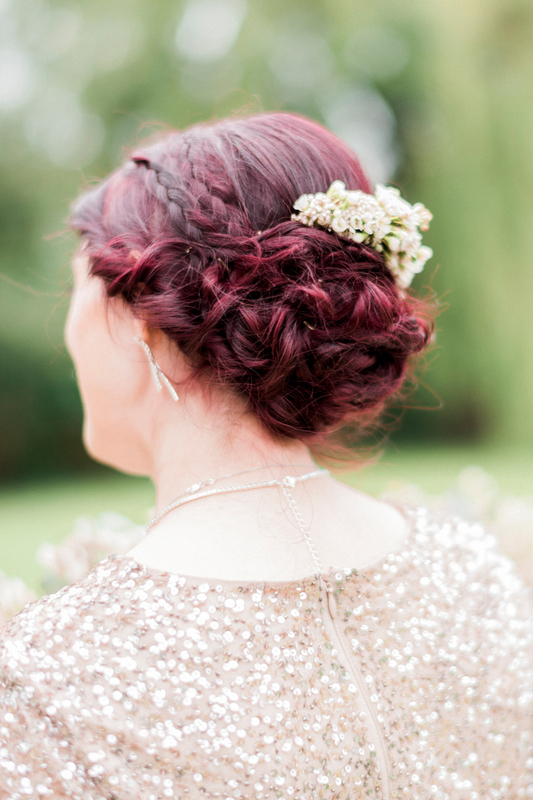 Kudos to my hairdresser Amy for making sure it stayed put all day too – it didn’t budge! For the Bridesmaids we went with slightly smaller, more delicate clips and these helped tie all the dresses together too. I would definitely recommend going for fresh flowers if you can and it’s something you can discuss and design with your florist. 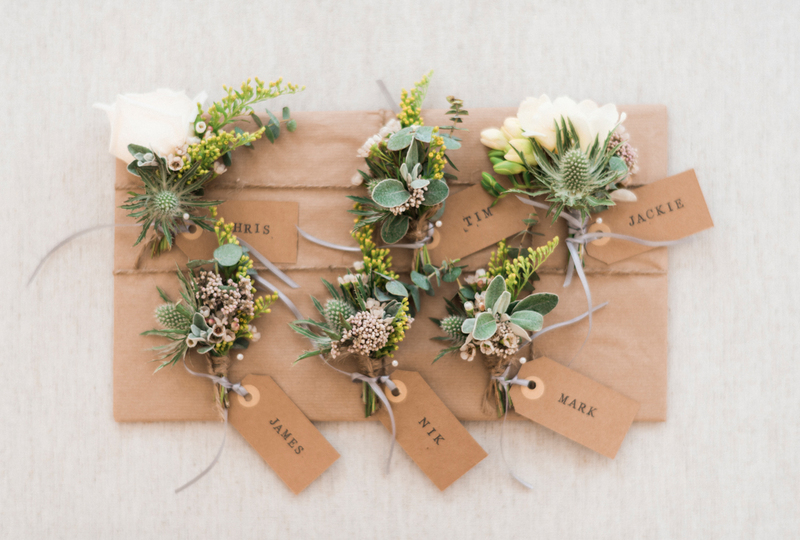 We kept it simple for the bridal party. 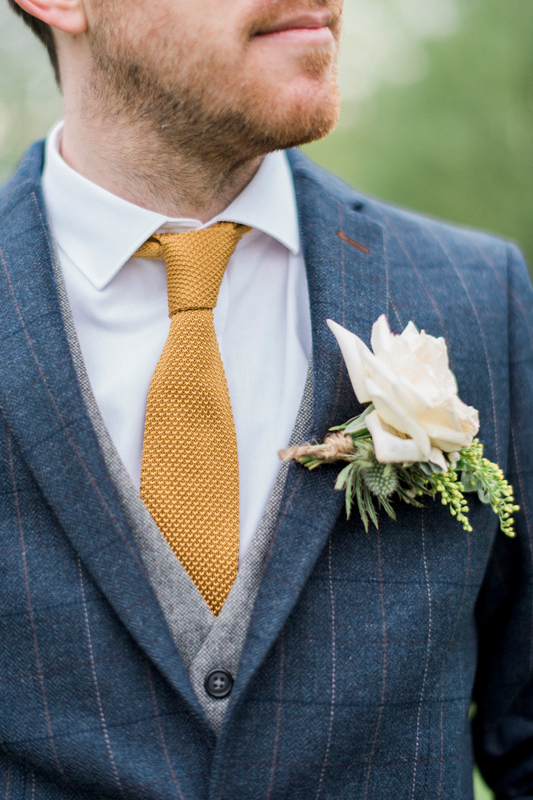 The guys had simple buttonholes, Chris with a focal flower (I definitely took that phrase from our florist!) And the ladies with a freisa, my Mum’s favourite flower. For the flower girls we had pretty wax flower crowns – not that babies like anything put on their heads, but I think we managed one photo before it got taken off! So the archway! Probably my favourite part of the flowers and something I wish I could have kept forever! I wasn’t sure if this was something that would disappear into the day but I can definitely say it made such an impact. Originally we were getting married outside but as it was a little chilly we decided to move it indoors at the last minute. I was worried by being inside we would lose the ‘outdoorsy’ feel but the archway kept that element and I love how it looks behind us in the photos. 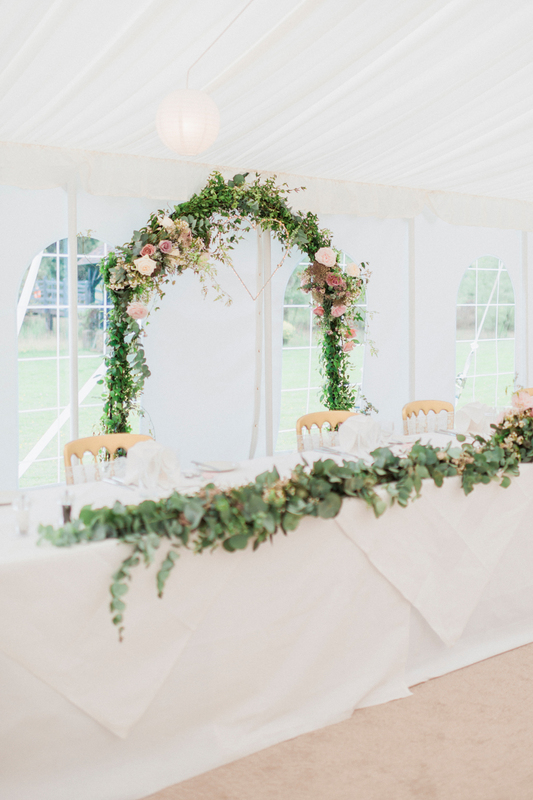 We also moved it behind our chairs in the marquee and I’d definitely recommend making sure this is something you mention to your planner, because it’s so worthwhile getting as much use out of it as you can. 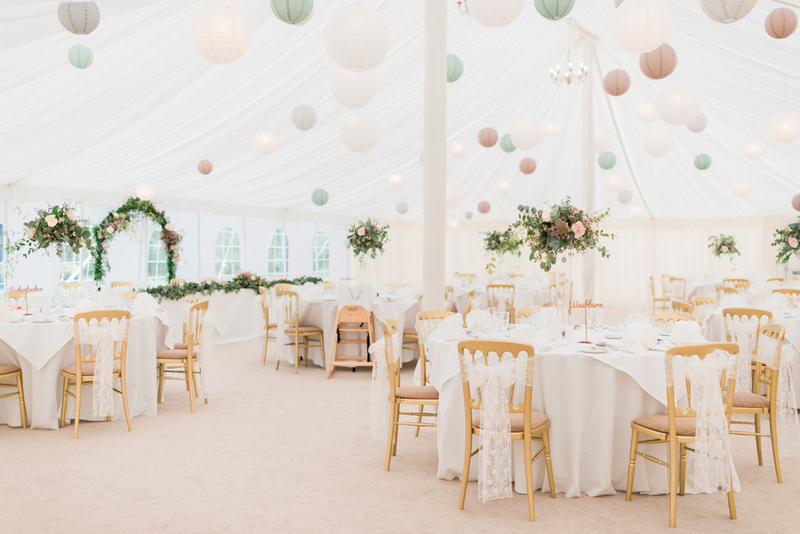 My only regret was that after a few (too many) wines I didn’t ask anyone to move it into the venue for the evening (it would have been great at the venue entrance) this is something I’d advise to pre-plan. I wanted bushy and natural for the guest table centerpieces. 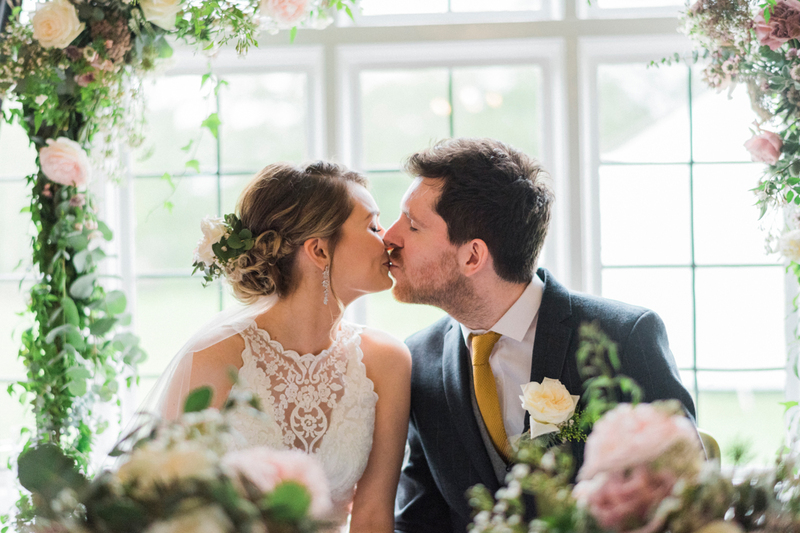 Luckily enough my florist knew exactly what I was after and she created these, which I love! They looked so pretty on all the tables and fitted in perfectly with the rest of the flowers too. I also recommend the glass vases as it meant all guests could see each other and it didn’t block anyone’s view. 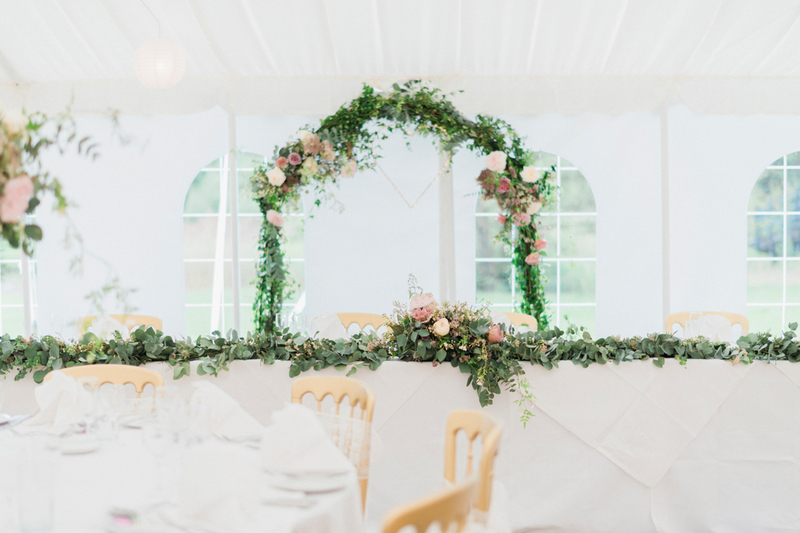 Now, for the top table I asked for a runner full of my favourite – eucalyptus! 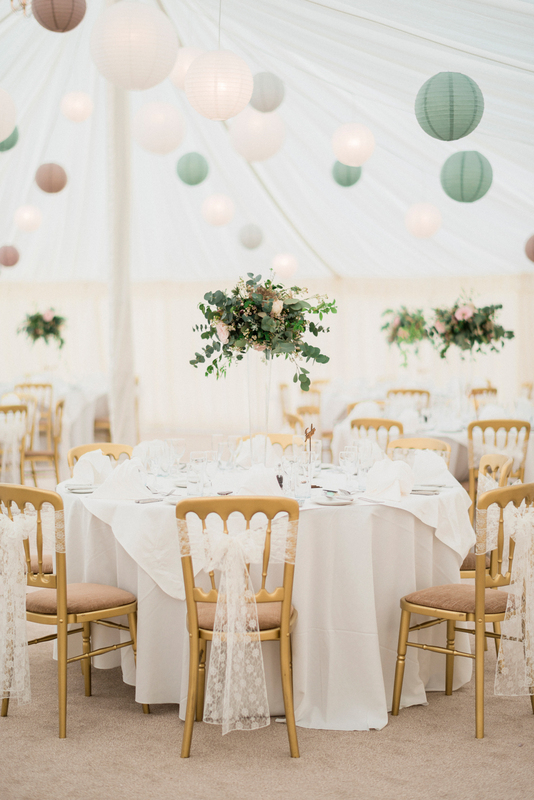 I love how this looked and it worked so well against the white tables and background – it added a pop of green and kept that rustic vibe. Again, this is something I wish I could bottle up and take home with me forever… it’s just so pretty!!! 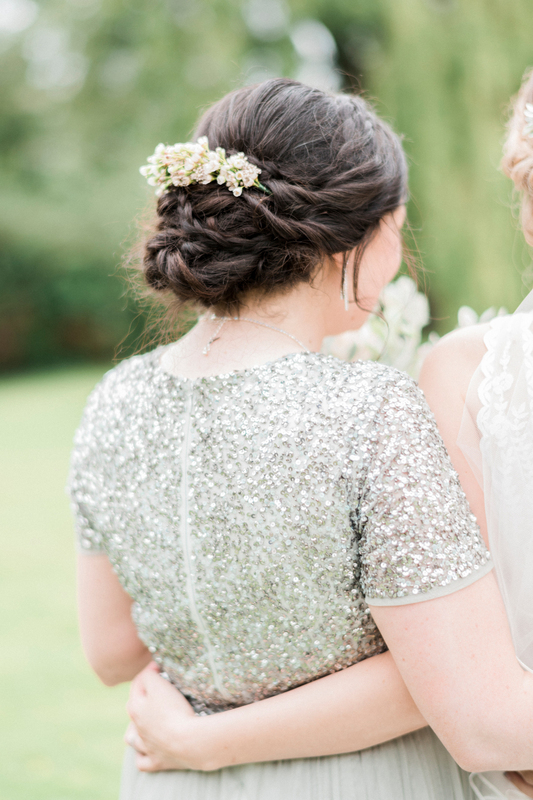 Next Post Styling Bridesmaids – On The Highstreet! Beautifully present. Worth a lot of money. Thank you! !